Coliforms are widely used as indicators of water quality and sanitary status, and levels are regulated as standards and legislation in many jurisdictions. The group of organisms known as coliform bacteria are commonly used to gauge quality and potential for health risk of potable and recreational waters, and are stimulated in water quality standards and legislation of many jurisdictions worldwide. 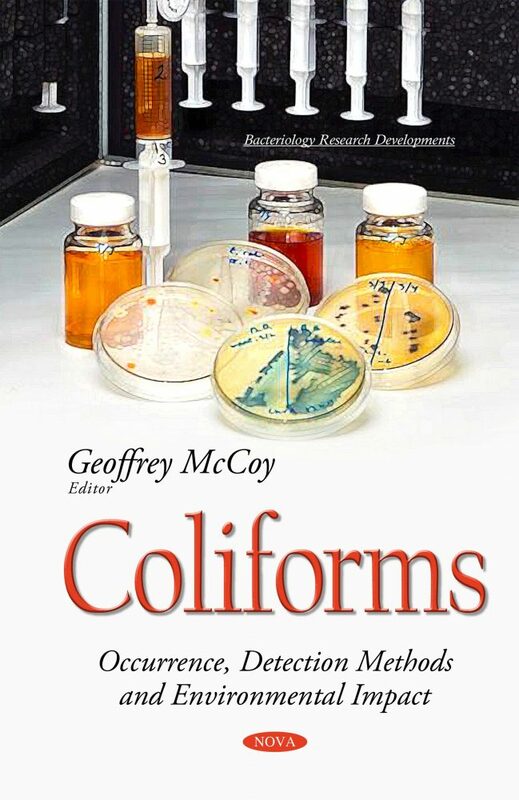 The contents of this book includes an overview about the involvement of biofilms in waterborne diseases; currently employed methods of analysis for coliform bacteria; the testing of coliformic bacteria for water departments using automated sampling and analysis; the prevalence of E.coli outbreaks linked to the consumption of certain products; and finally, a review of the sources of coliform bacteria in freshwaters.